We’re always game to add an element of femininity to our wardrobes, which is why our closets are stocked with classic, versatile skirts appropriate for work and play. From an office-friendly pencil skirt to a flirtatious flared version for date night, these pieces allow you to show off a little leg in a completely stylish way. Keep scrolling for 16 skirts you can style with anything this season—and beyond! The addition of a few brass buttons punches up this sleek leather mini. A luxe, embroidered skirt is a wardrobe staple during holiday season. Use the code SUMMERDONTGO at checkout and get an extra 15 percent off everything from ASOS. Pair this suede-effect wrap skirt with ankle booties for fall. This plaid skirt’s streamlined shape and slightly-above-the-knee hemline make it an instant classic. 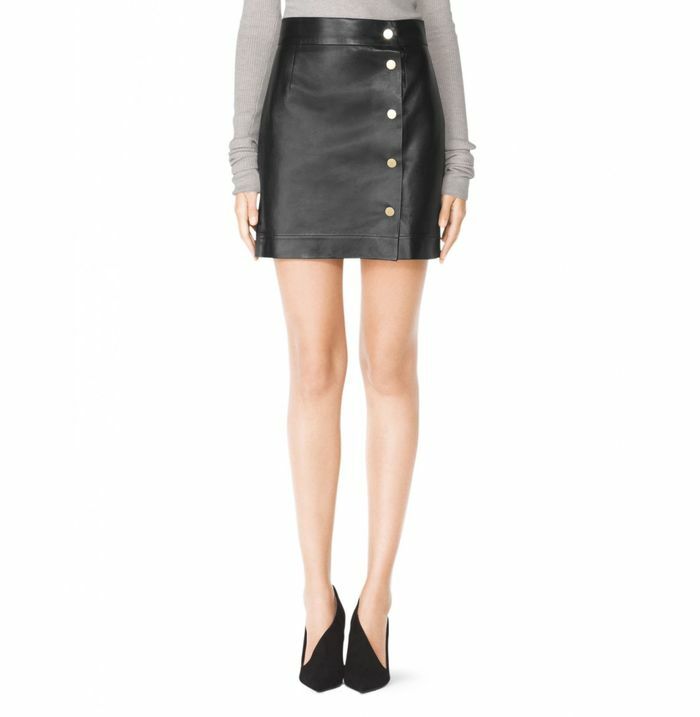 This pleated leather-look skirt is both ultra-feminine and edgy. This pink pencil skirt looks structured, but it’s actually soft, stretchy, and comfortable. Wear this striped skirt with a graphic tee and ankle boots for a cool daytime look. Front pockets add interest to a basic pencil skirt. Looking for a perfect party skirt? Try this loosely pleated option embellished with sequins. This black-and-white print functions as a neutral, yet still stands out. Go for a monochrome look by pairing this neutral skirt with other gray pieces. Skorts combine the look of a skirt with the convenience of a pair of shorts—a win-win in our style book. Team this flirtatious, flared mini with an oversized knit sweater. Take this skirt from day to night by swapping out your button-down shirt for a cropped or sheer style. Forget the Labor Day rule and style this with a white sleeveless turtleneck. A metallic skirt is surprisingly easy to tone down when you pair it with basics like a black tee.